Toronto, (March 21, 2017) – The Canadian Hockey League (CHL) kicks off the start of the OHL, WHL and QMJHL playoffs today with the launch of CHL Fanbase – the league’s new digital fan engagement platform. 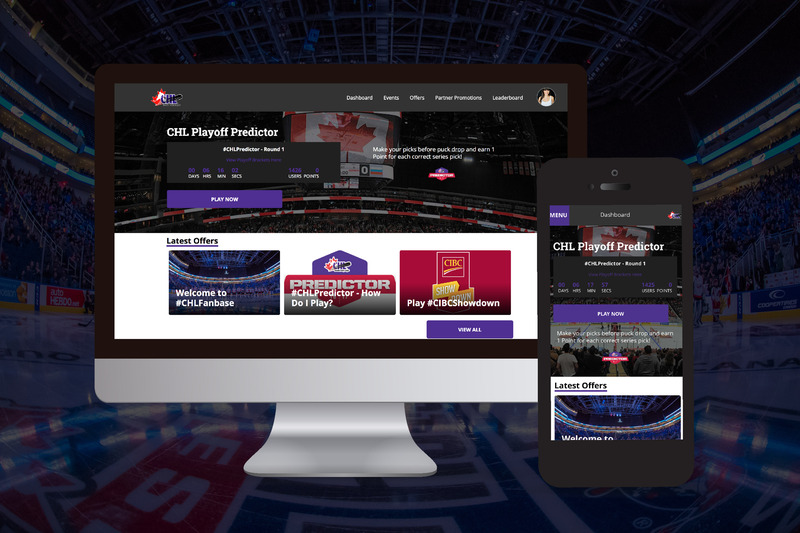 Developed by leading fan engagement company, Stadium Digital, the platform awards points to fans who engage with the CHL’s Playoff Predictor game and gives exclusive access to contests, promotions and events. The highlight of the platform launch is the new CHL Predictor game which allows fans to predict the results of OHL, WHL and QMJHL playoff series. Participants all have a chance to win a trip to the Mastercard Memorial Cup. CHL Fanbase marks Stadium Digital first league-wide fan engagement loyalty platform. The company has successful launched similar team platforms for the Hamilton Tiger-Cats and the Toronto Argonauts. The Canadian Hockey League is the world’s largest development hockey league with 52 Canadian and eight American teams participating in the Ontario Hockey League, Quebec Major Junior Hockey League and Western Hockey League. CHL players graduate from high school at a rate higher than the Canadian national average. More than nine million fans annually attend CHL games during the regular season, playoffs and at the Mastercard Memorial Cup. The CHL is the number one supplier of talent to the National Hockey League (NHL) and U Sports.